Art plays a significant part of the experience of the Cathedral space, from music to glass, to graffiti, wall art, textiles, books and paintings. Throughout 2019 we will be undertaking a series of activities with leading experts, art historians, conservators, artists and scientists. We will explore current and developing studies of how art changes, is reused or repurposed, disappears or is rediscovered within the setting of the Cathedral. There is something for everyone in this diverse programme which draws to a close 27-29 November 2019 with an exciting two day international conference. The conference is supported by the Chapter of Canterbury, and the Heritage Lottery Fund, through The Canterbury Journey project. It will look at how and why art is defaced, destroyed or lost within architectural settings, focusing on art found in cathedrals, churches and other places of worship. 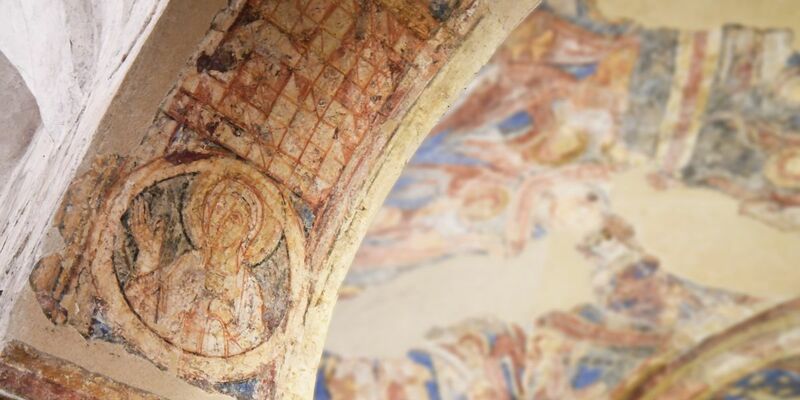 Proposals for papers are invited for the two day conference ‘The Art of the Lost: destruction, reconstruction and change’ (working title) to be held at Canterbury Cathedral on the 27th to 29thNovember 2019. This conference will explore and appraise current and developing studies of how art changes, is reused or repurposed, disappears or is rediscovered. It will look at how and why art is defaced, destroyed or is lost within architectural settings, with a particular focus on art within the context of cathedrals, churches or other places of worship. It will consider changing ideologies, iconoclasm, war, fashion and symbolism. It will cover art from the 6th century to the modern day. For full details about the conference and to find out how you can submit your proposal please download our Call For Papers – The Art of the Lost 2019 document or email Learning@canterbury-cathedral.org to find out more or make an informal enquiry.